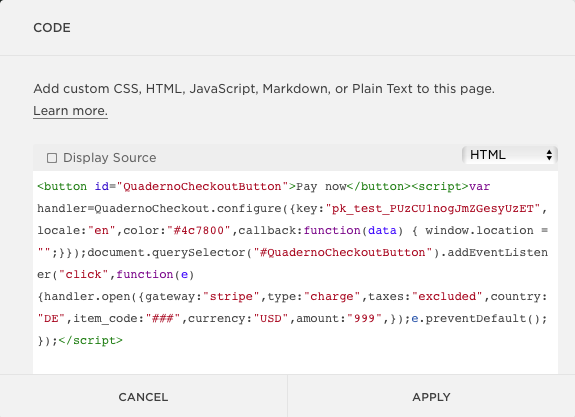 Quaderno Checkout is an embeddable payment form for your Squarespace site. 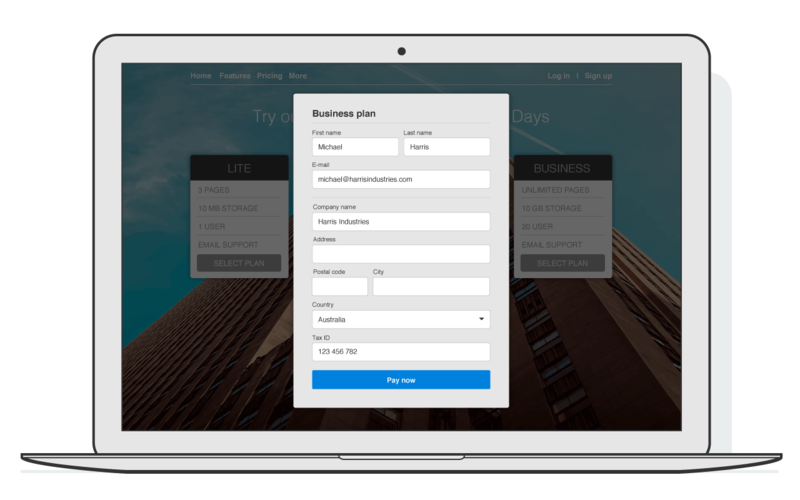 It works within your site seamlessly, allowing customers to pay in-place without being redirected away anywhere else. It looks pretty great, to boot! 2. 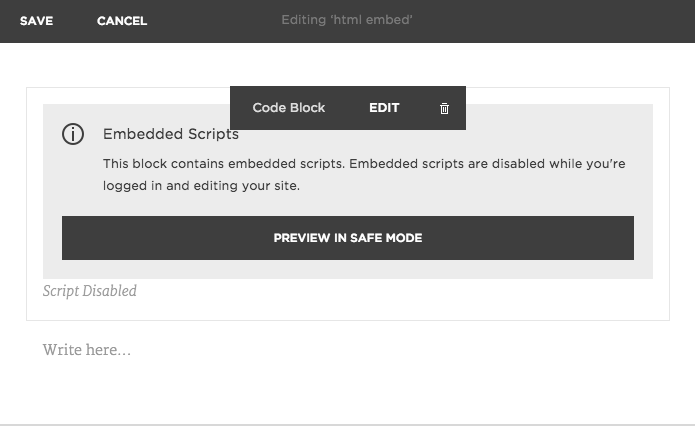 Copy the embed code that's generated. 3. 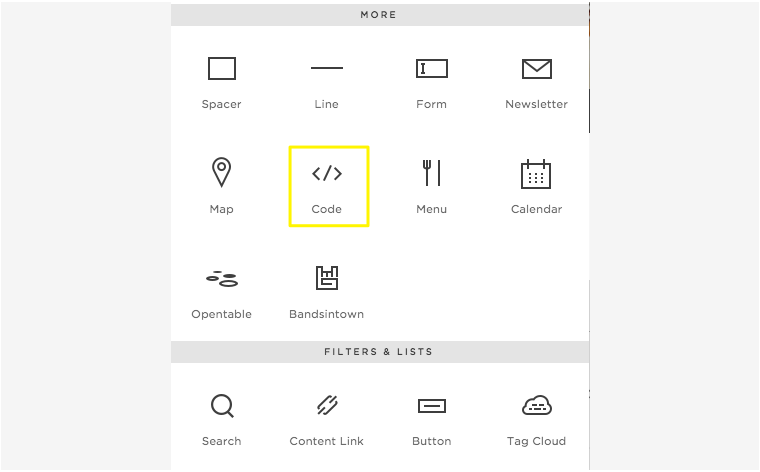 Open the page where you want to embed the Checkout form. 7. Paste the Checkout code in the code dialog and hit Apply. 8. Click Save on the page editor.